Below is a video of some tests in-house, carefully driving the motors. After that, I did some tests outside with higher motor speeds. 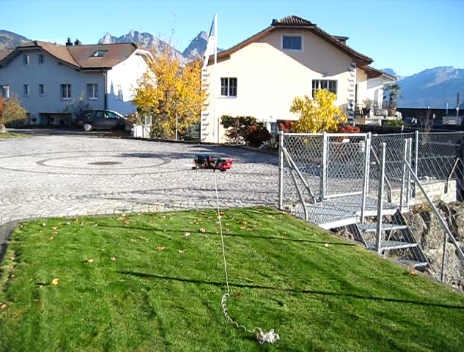 To keep things safe, I tied the quadrocopter down to the ground (and this was really a good idea ;-)). 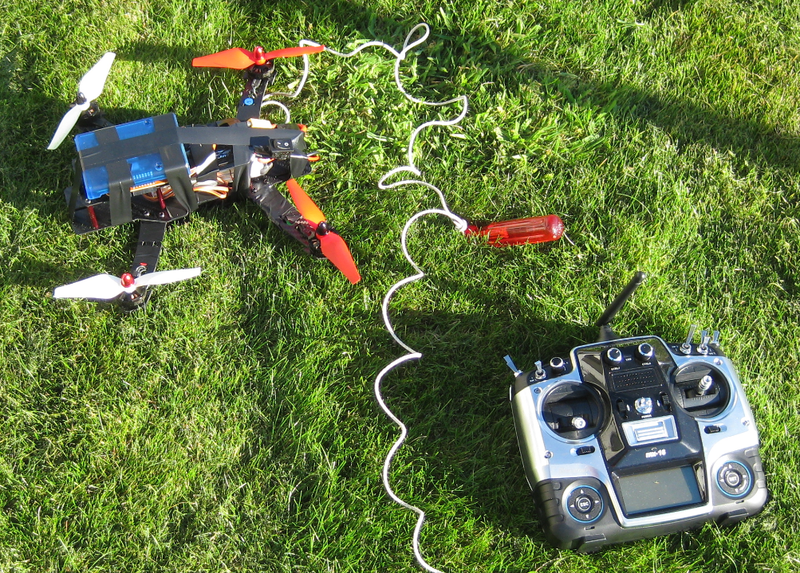 The hardware is working, the Graupner remote control is communicating to the FRDM-K22F. I need to think about a better wiring of the FRDM-K22F board with the servos, right now electrical tape is keeping things together. For now, the control loop is very rough and not fine tuned yet. I need to improve that, and I plan to write some articles about the control loop and PID. 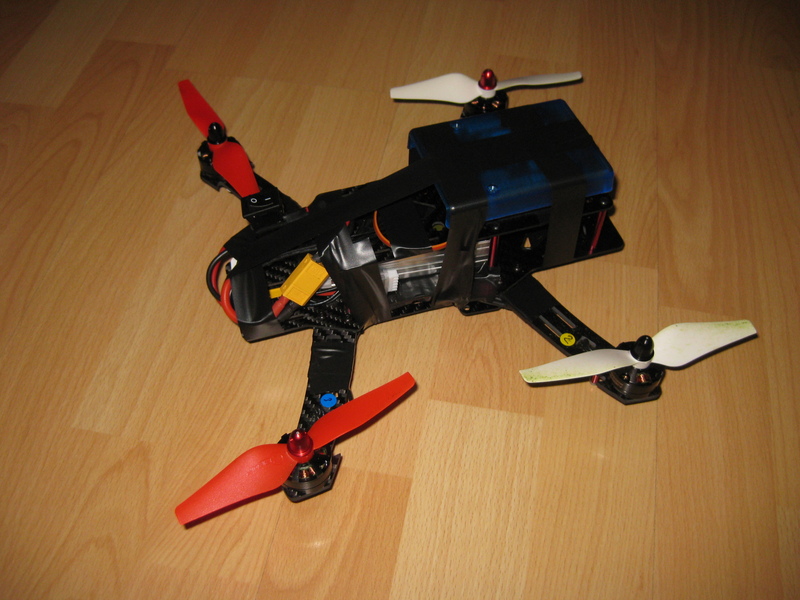 This entry was posted in ARM, Boards, CPU's, Embedded, FRDM-K22F, Freescale, Graupner Alpha 250Q, Kinetis, Quadrocopter and tagged Drone, Freescale, Graupner, Kinetis, Quadrocopter, technology by Erich Styger. Bookmark the permalink. Great news! I’m looking forward for articles about PID – naive implementation is quite simple, but I bet you will use something more advanced, like feed forward or sth. BTW: have you considered other control methods like LQR? For now it is a simple PID, and I have not considered things like LQR.